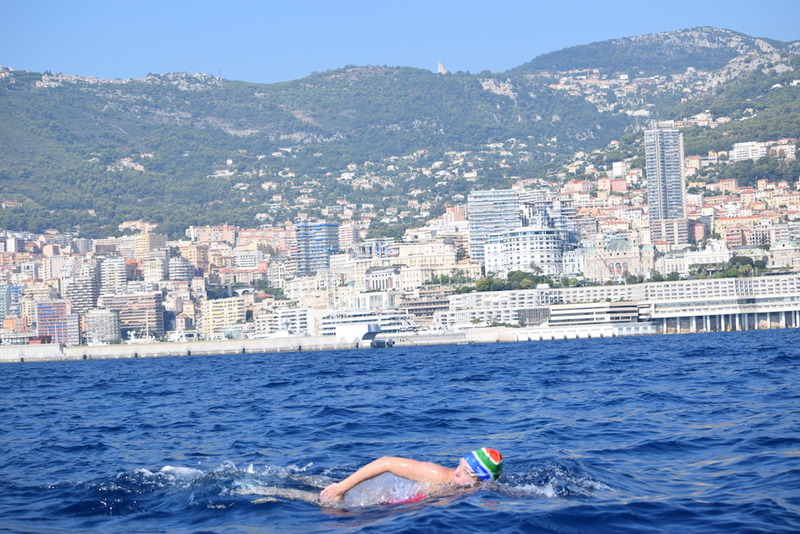 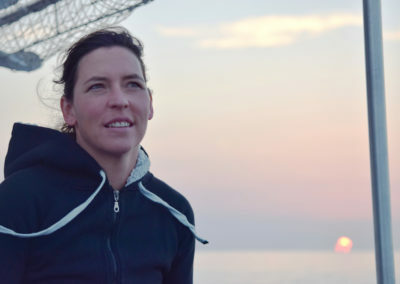 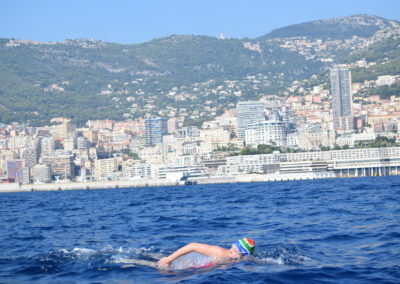 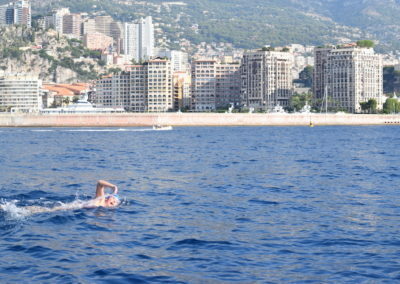 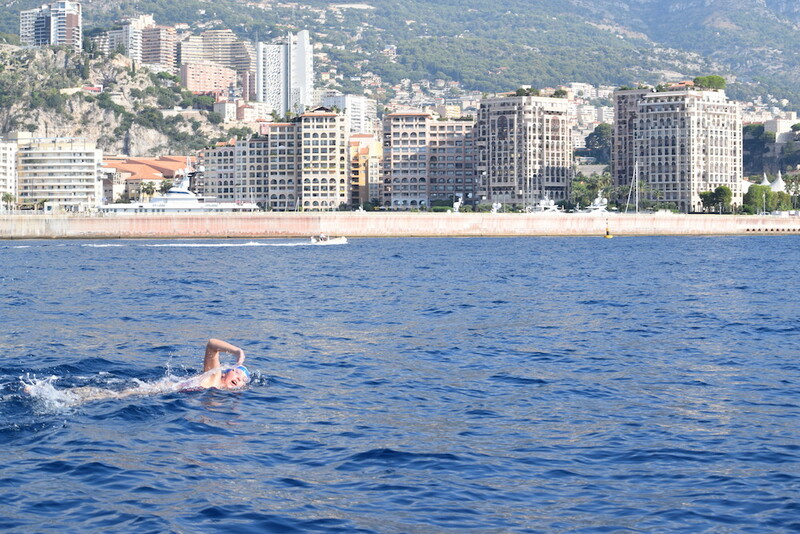 South African musician Carina Bruwer has successfully completed a groundbreaking open water swim in Europe, crossing from France to Monaco and then to Italy (via another section of France), in support of Muzukidz, an organisation that offers children from townships around Cape Town the opportunity to learn the violin. 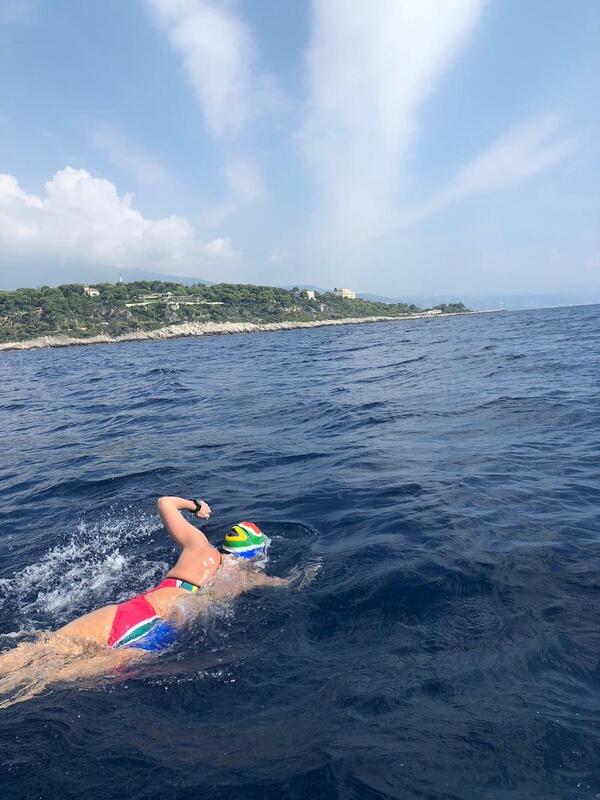 Carina, mother of tree and an internationally renowned contemporary flute player and founding member of the multiple award-winning instrumental group Sterling EQ, took 7 hours and 6 minutes to complete the distance of 21km. 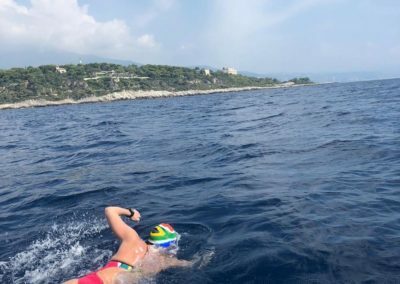 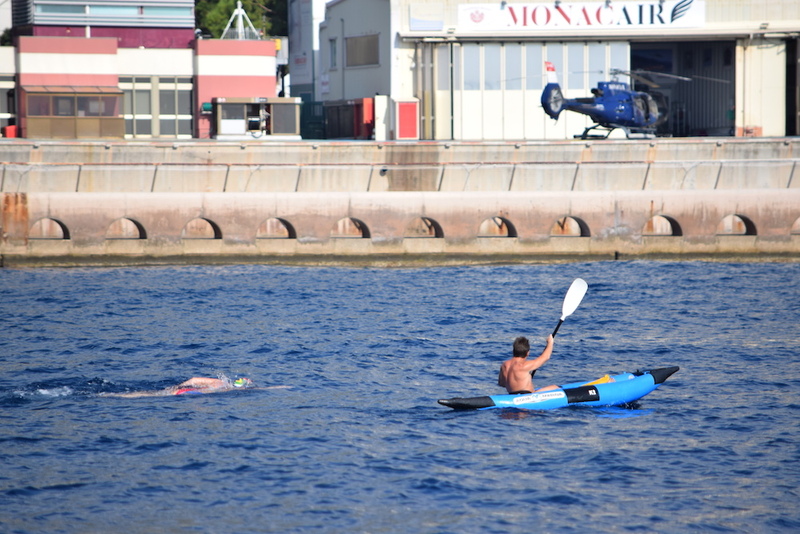 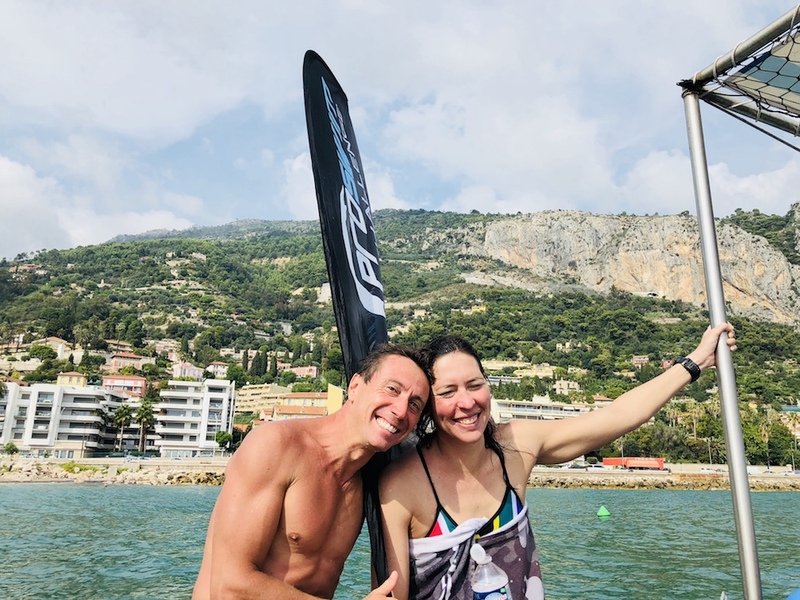 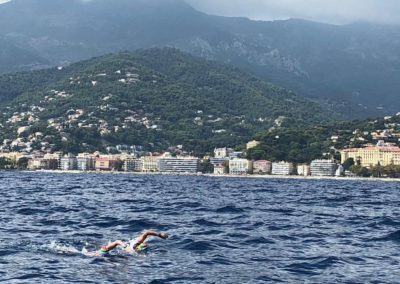 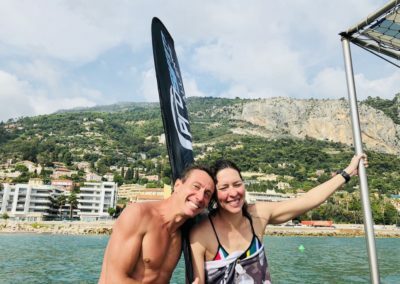 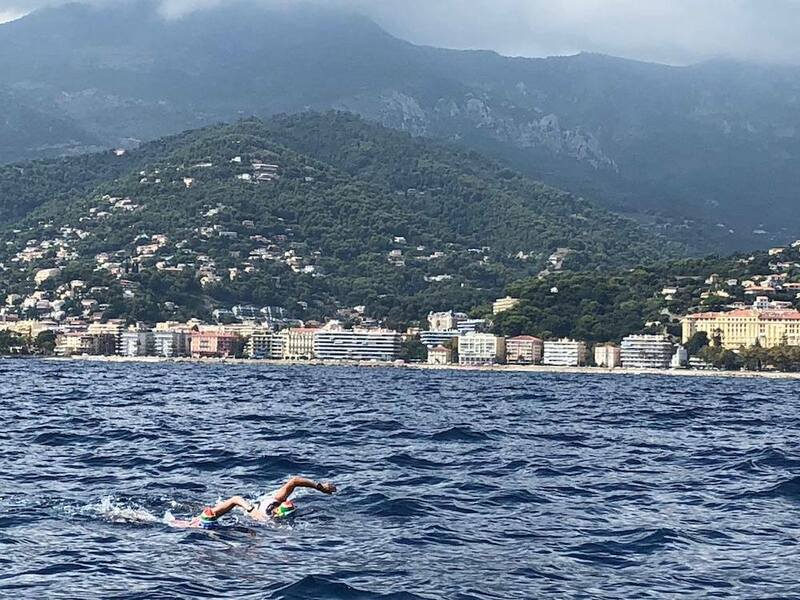 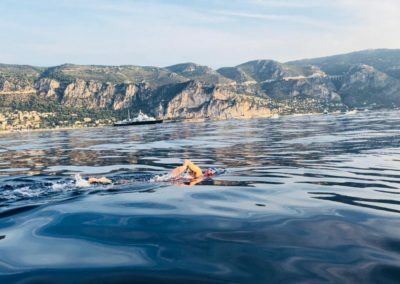 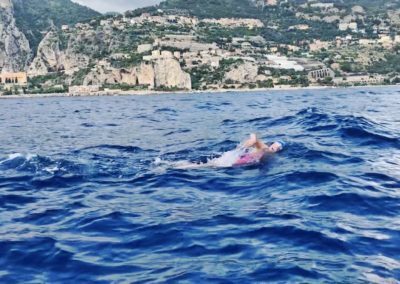 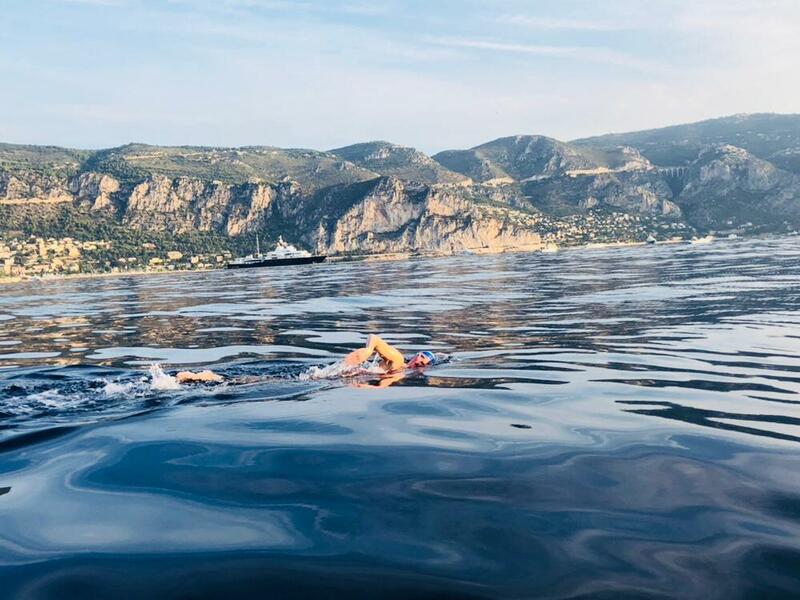 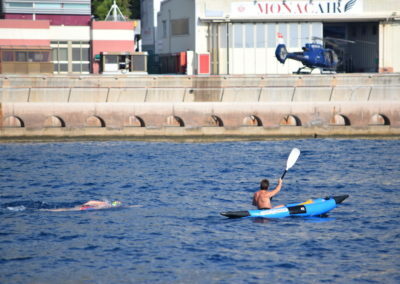 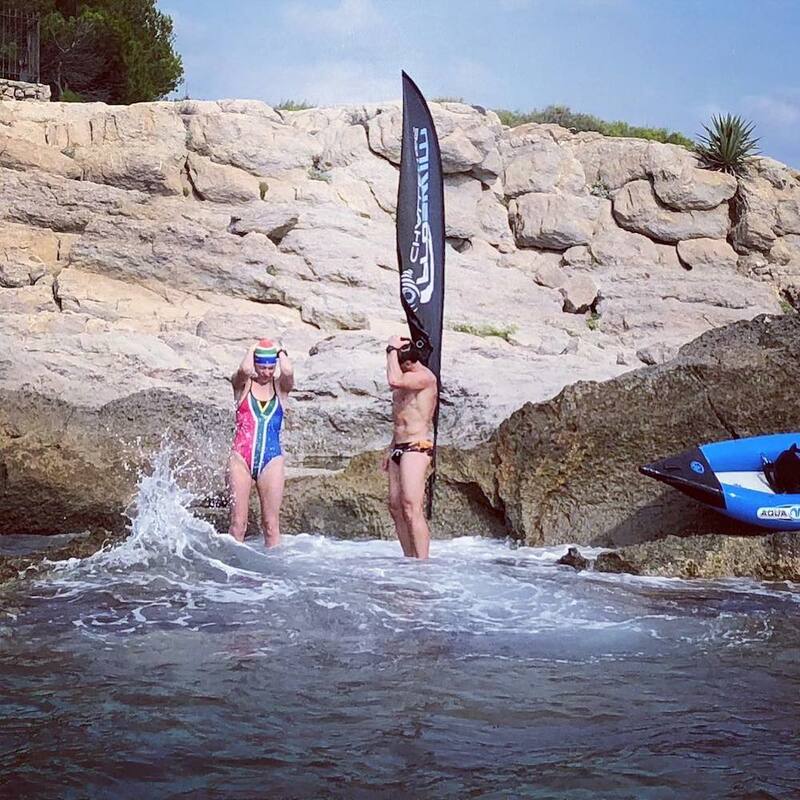 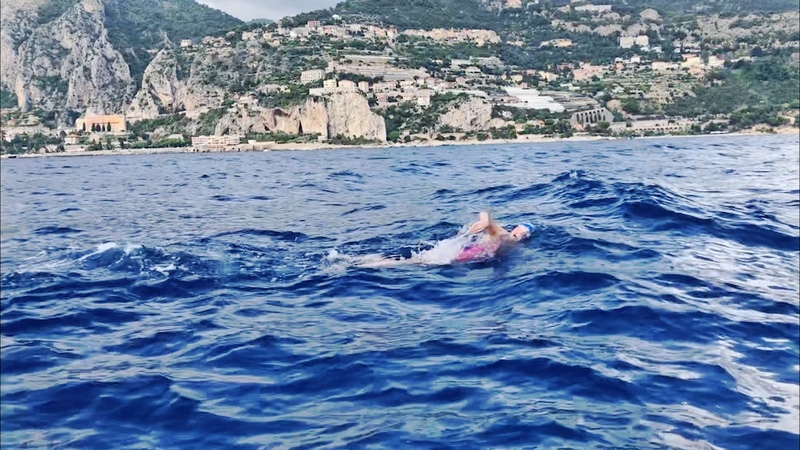 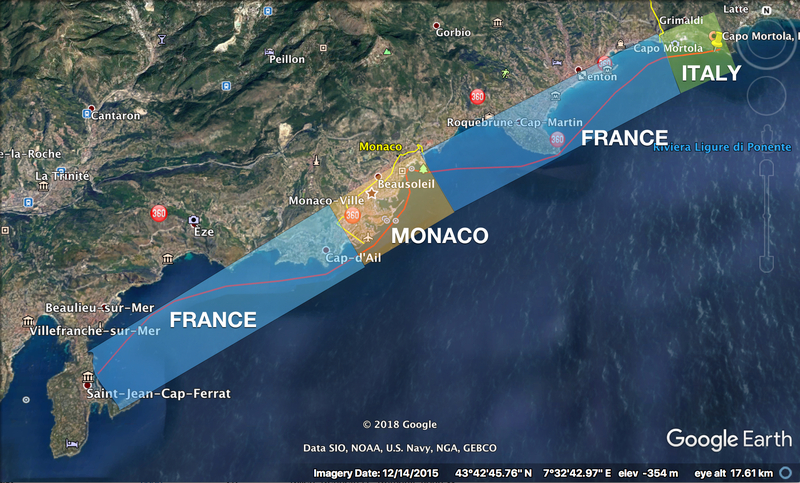 She entered the water at roughly 07:45 on 18 September at Cap Ferrat just outside Nice in France, and finished at Capo Mortola near Ventimiglia in Italy. 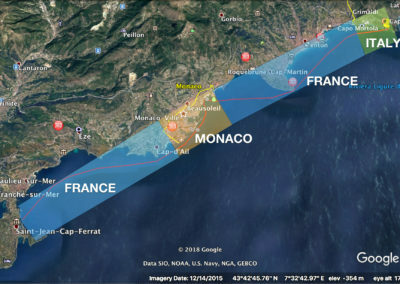 She briefly stepped onto land in Monaco to log her arrival in the new country, and did so again when reaching France for the second time, as Monaco is surrounded by France on both sides. She crossed 3 large bays on the route, fighting chop and unfavourable currents for most of the distance. 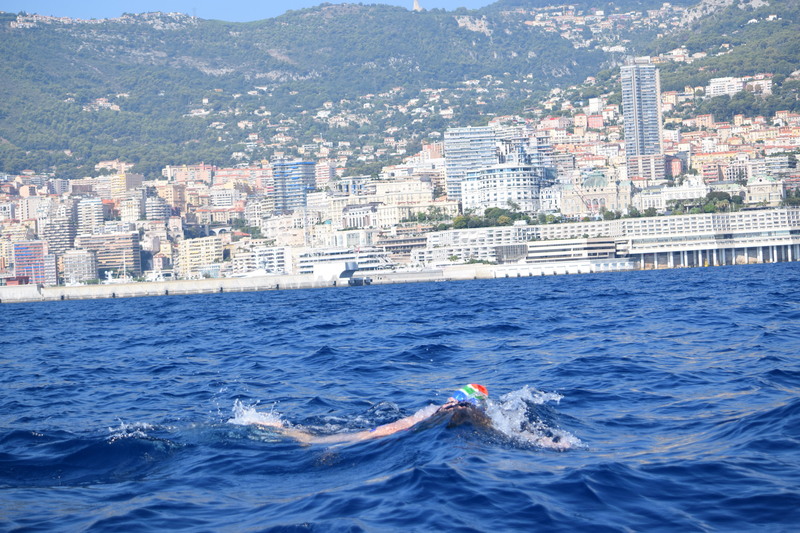 The swim was done in accordance with English Channel swimming rules and she was supported by a local team from BeWater. 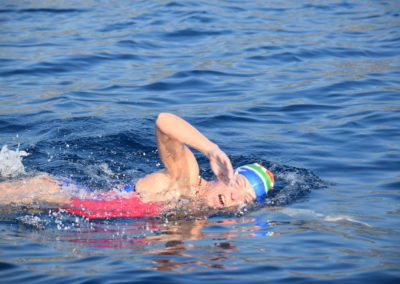 Anyone who wishes to support the cause can do so on https://www.givengain.com/ap/swimforhope/. 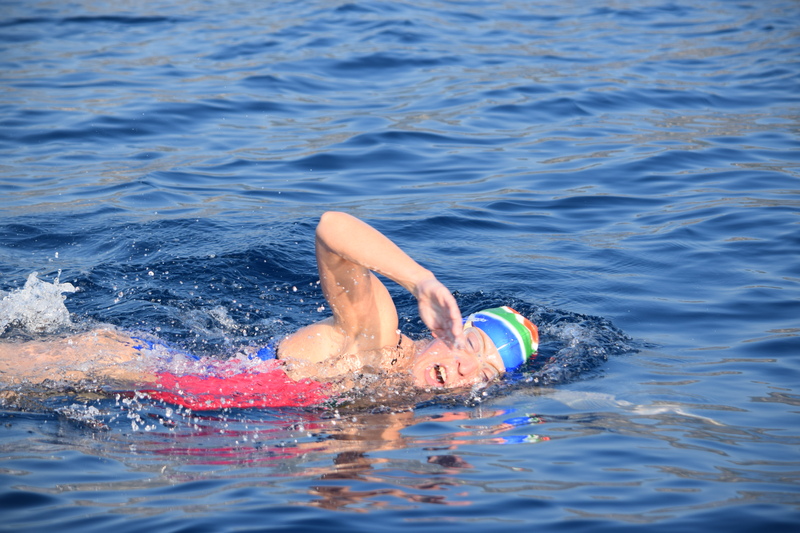 Corporate sponsors can also contact Maria Botha on botha.maria@gmail.com for organisational and any other information.